$650 covers a camper’s tuition for a week-long overnight summer camp for queer youth or youth of queer parents. This year the camp is taking place August 2-7 at Haw River Summit in Brown’s Summit, North Carolina. We’re hoping that LUEWWD XII will help raise funds for a BUNCH of scholarships for these great young people. Click here for a list of other great experiences for the campers your dollars could purchase! And, since the theme of the next LUEWWD is to express yourself, here’s a video produced by Q.O.R.D.S. (with KiQ) showing the campers’ important (and fun) experiences. 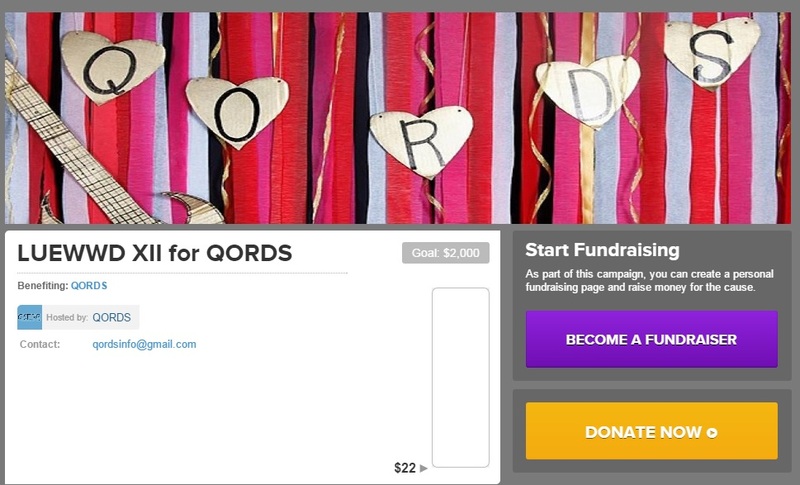 If you would like to contribute to Q.O.R.D.S. through the upcoming LUEWWD event, you can make a donation at any time. If you have a favorite wrestler, you can contribute to their campaign for Madame Moneymaker! We’ve been having a blast putting together LUEWWD XII with the QORDS organizers and hope you can be a part of the fun, too!